Premised on servant based leadership and sentinelled by a congruent workforce, S3 Builders has earned the trust of some the largest and most venerated companies throughout greater Los Angeles. 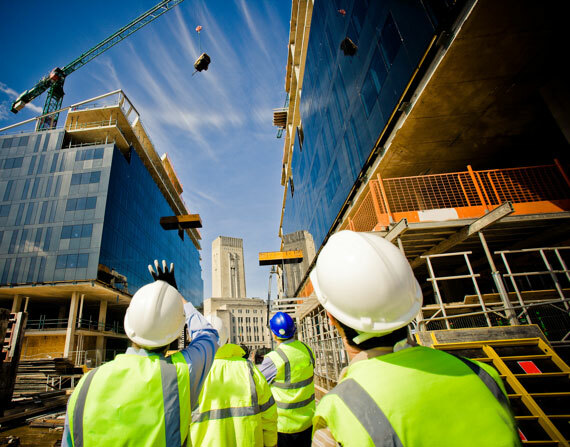 Our portfolio of Fortune 500 clients and tenure with these establishments clearly demonstrates S3 Builders as a best-in-class and lasting enterprise. However, our favorite accomplishment is building inspiring spaces like the ones you'll see here in our Project section. Plus, many others we had to 'mum's the word on' if you know what we mean. In 2004, we set out to build a firm that operates at the juncture of employee fulfillment and client satisfaction. The culmination of our efforts is a company operated by passionate professionals and a history of delivering well executed projects to the world’s finest clients. The call to excellence is a gift afforded only to those with passion and purpose, at S3 we firmly adhere to this principle. As founder and President of S3 Builders, Marc Rapisardi has pioneered the company to what it is today: an organization resolute in principle and relationships. Marc’s vision for advancement and core culture of the organization is premised on the notion that “passion drives success”. Carol Monroy serves as Director of Operations and Project Manager for S3 Builders, and her roles within the company are as expansive as her title. Carol’s many attributes and work ethic have contributed to the successful execution of projects totaling over $3 million in value. Her core responsibilities include coordination of estimates and field activities. As Vice President and Project Manager of S3, John Epperly has developed the job site protocol for the organization, has set and maintains the standards in quality control, workmanship and safety by which S3 Builders performs its projects. John is committed to building relationships among all the people who come together to create a successful construction project. As a for profit entity we provide a professional service in exchange for an equitable profit. Innate in this process is a responsibility to use our skill sets to advance the greater good. We believe that the hierarchy of beings was created to allow those who are more advantaged to assist those whom cannot equally help themselves. This philosophy has led us to support the needs of varying beneficiaries from animal rights to disabled persons. Our ability to support causes dear to our hearts has proved to be a lasting and meaningful motivator.